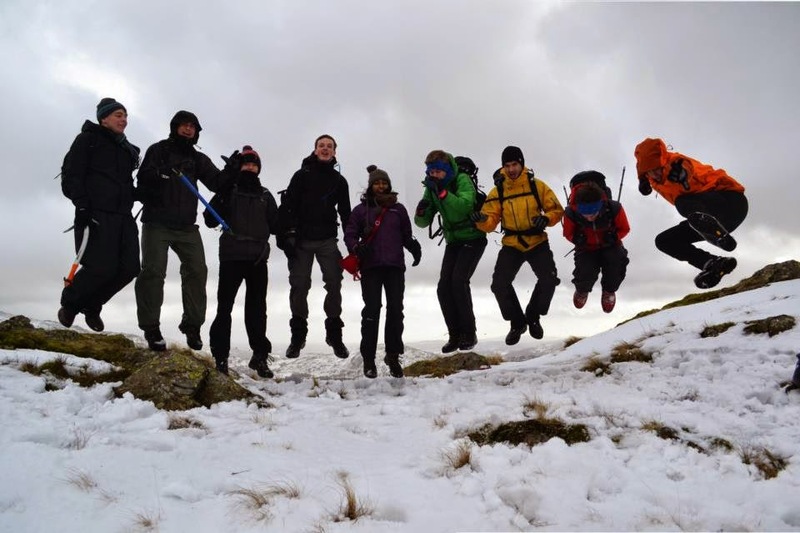 We are the Expeditions Society: the largest, most active, and possibly the best outdoors society at the University of Bristol. We are passionate about outdoor adventures, and endlessly enthusiastic to get as many people involved as we can. Whatever your experience, or none, it would great to meet you. We cater for anyone with an interest in the outdoors by running regular weekend trips, giving free climbing instruction, organising adventurous summer trips abroad, and offering subsidised training opportunities. We focus our weekend trips on hiking, scrambling, climbing, and mountaineering in the UK’s beautiful mountainous regions. Over New Year, we run an exciting week-long winter mountaineering trip to Scotland. When you aren’t on the mountain, we have regular socials, plus development opportunities such as first aid and navigation training. Enjoying a trip in the snow! We are committed to helping everyone get involved, so we strive to be as affordable and inclusive as possible. Our members receive a great discount at selected local outdoor shops, and can borrow equipment from our comprehensive stores. We are also keen to support our members applying for Activity Hardship Fund grants of up to £100 per year. Even better, we’re completely non-profit, so are one of the best value ways of getting into the great outdoors. We usually run two international expeditions a year. Experienced committee members run our expeditions, so they have a clear purpose, and keep costs down where possible. Many members also get together every summer in the Alps for even more adventures. Members looking to develop their skills further can apply for a grant towards an accredited Mountain Leader or Rock Climbing Instructor training course. We are serious about making sure our new members have the best support; our most experienced hands are trained to the world-class UK standards for leadership in the mountains, and support several of our members every year in applying for a place on a Jonathan Conville Mountaineering Trust Alpine Course.